Generic Dexamethasone oral tablets (Dexona), are a synthetic corticosteroid which acts as an anti-inflammatory and immunosuppressive agent. Dexona tablets contain Dexamethasone as the active ingredient, which belongs to class of medications known as glucocorticoid steroidal drugs. Dexona tablets produces it's anti-inflammatory effect by reducing or obstructing the body tissues from reacting to inflammatory signals and also alters the body's response to specific immune stimulation signals. Dexona tablets are useful for the treatment of inflammatory symptoms in various medical conditions such as pemphigus vulgaris, allergic dermatitis, eczema, exfoliative dermatitis, dermatitis herpetiformis, dermatitis medicamentosa, erythema multiforme, disseminated lupus erythematosus, dermatomyositis, polyarteritis nodosa, severe bronchial asthma and status asthmaticus, emphysema, pulmonary fibrosis, adrenal hyperplasia (adrenogenital syndrome), idiopathic thrombocytopenic purpura, acquired haemolytic anaemia, acute leukaemia, nephrotic syndrome, iridochoroiditis, ulcerative colitis, rheumatoid arthritis, ankylosing spondylitis, rheumatic fever, gout, periarthritis of the shoulder. 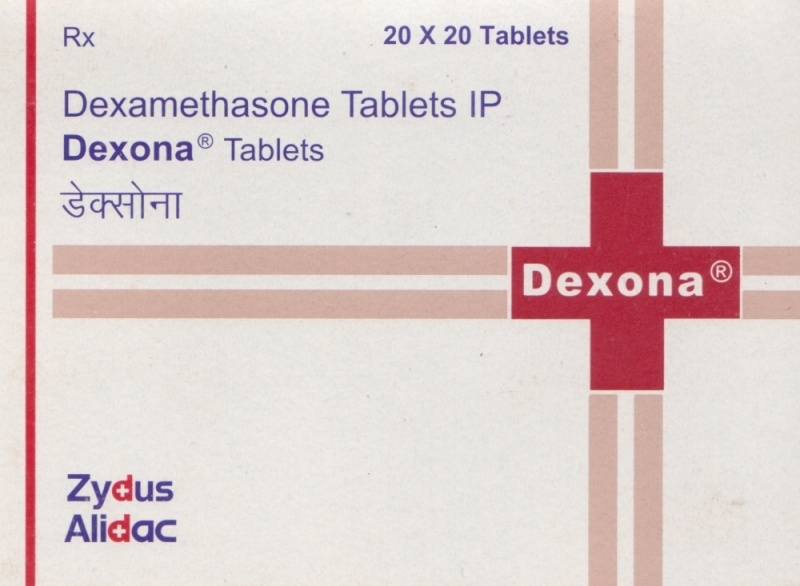 Dexona tablets are manufactured by Zydus Cadila Healthcare Ltd. in the strengths of 0.5 mg of Dexamethasone. We also have in stock Generic Zaditen (Ketasma tablets) which is used for prevention and treatment of multisystem allergic disorders eg, chronic urticaria, atopic dermatitis, allergic rhinitis and conjunctivitis and the preventive treatment of bronchial asthma. Dexamethasone Sodium Phosphate injection is also available as Dexona injection. We supply original Dexona tablets manufactured by Zydus Cadila Healthcare Ltd. Dexona tablets are also known as Generic Dexamethasone tablets. The active ingredient present in Dexona tablets is Dexamethasone Sodium Phosphate. Each Dexona tablet contains 0.5 mg of Dexamethasone. Dexona tablets, manufactured by Zydus Cadila in the strength of 0.5 mg, is a synthetic corticosteroid which acts as an anti-inflammatory and immunosuppressive agent. This medicine prevents the release of substances in the body that cause inflammation.Dexona tablets contain Dexamethasone as the active ingredient, which belongs to class of medications known as glucocorticoid steroidal drugs. Generic Dexamethasone tablets are used to treat many different conditions such as allergic disorders, skin conditions, ulcerative colitis, arthritis, lupus, psoriasis, or breathing disorders. Dexamethasone tablets should be administered after a meal to avoid gastrointestinal problems. The recommended daily dosage of Generic Dexamethasone tablets for different medical conditions varies between 0.75 mg to 9 mg. Your doctor may alter the dosage of Dexona tablets depending on your response to treatment and the severity of the medical condition. The duration of treatment is dependent on the clinical response of the patient and as soon as improvement is indicated, the dosage should be adjusted to the minimum required to maintain the desired response. Withdrawal of Dexamethasone at completion of treatment must be gradual. In case you miss your regular dose of Dexona tablets, take it as soon as you remember. You can continue your regular schedule the next day. If you remember the missed Dexona tablets the next day, take your regular dose and skip the missed dose. Do not take a double dose to make up for the missed dose of Dexamethasone tablets. 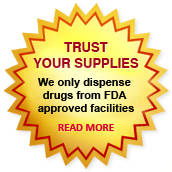 Store Dexona Tablets (Generic Dexamethasone) at controlled room temperature 20°C to 25°C. Protect from heat, moisture, and sunlight. Retain the original packing of the medication and do not use Dexamethasone tablets (Dexona) beyond its expiration date printed on the blister pack. Keep Generic Dexamethasone tablets away from the reach of children and pets. Do not discard Dexona tablets along with domestic waste or sewage. Dexona tablets are contraindicated in patients with a hypersensitivity to Dexamethasone sodium phosphate, or any inactive ingredient present in tablets. Medical History: Before beginning the treatment with Dexona tablets (Generic Dexamethasone tablets), discuss your personal and family medical history with your doctor. Inform your doctor if you have underactive thyroid, liver or kidney problems, diabetes, ulcerative colitis, heart problems, esophagitis, gastritis, stomach obstruction or perforation, ulcer, mental problems (eg, depression), glaucoma, cataracts, other eye problems, herpes infection in your eye or any other type of infection (bacterial, fungal, or viral); have or recently had tuberculosis (TB) or tested positive for TB, measles, chickenpox. Allergy: Please inform your doctor if you have an allergy or have had an allergic reaction in the past to Dexamethasone or any inactive ingredient in Dexona tablets (Generic Dexamethasone tablets). Please tell your doctor if you have any other allergies. Dexamethasone Interactions: Before beginning the oral therapy of Dexona tablets, please tell your doctor about all your present medications including prescription drugs, over the counter medications, mineral supplements, herbal products, and vitamins. Dexona tablets are known to have drug interactions with certain other medications. Please inform your doctor if you are taking aspirin (taken on a daily basis or at high doses); a diuretic (water pill); a blood thinner such as warfarin (Coumadin); cyclosporine (Gengraf, Neoral, Sandimmune); insulin or diabetes medications you take by mouth; ketoconazole (Nizoral); rifampin (Rifadin, Rifater, Rifamate, Rimactane); or seizure medications such as phenytoin (Dilantin) or phenobarbital (Luminal, Solfoton). Avoid or limit the consumption of alcohol during the treatment with Generic Dexamethasone Oral tablets (Dexona tablets) because it may increase the risk of certain side effects. Dexona tablets may make you light-headed or impair your vision. Avoid activities such as driving, using machinery, or performing any activity that requires complete vigilance or perfect vision until you are sure about your safety. If you plan to have live vaccinations, surgery or any dental procedure, inform your doctor, anesthetist, or dentist about your course of Dexona tablets. In case of an emergency medical treatment, please inform the practitioner about your course of Dexamethasone oral tablets and the details of your last dose. Inform your doctor immediately if you experience any of these side effects. This is not an exhaustive list of all the potential side effects of Dexona tablets. Please contact your doctor immediately in case you develop any other medical conditions during the course of treatment with Dexamethasone tablets. Reports of acute toxicity and/or death following overdosage of glucocorticoids such as Dexamethasone are rare. In the case of overdosage, no specific antidote is available. Dexona overdose treatment is supportive and symptomatic. Dexamethasone has been classified by the US FDA as Pregnancy Category C. Corticosteroids have been shown to be teratogenic in many species when given in doses equivalent to the human dose. Animal studies in which corticosteroids have been administered to pregnant mice, rats, and rabbits have yielded an increased incidence of cleft palate in the offspring. There are no adequate and well-controlled studies of Dexamethasone or Corticosteroids in pregnant women. Corticosteroids must be used during pregnancy only if the potential benefit justifies the potential risk to the fetus. Infants born to mothers who have received substantial doses of corticosteroids during pregnancy should be carefully observed for signs of hypoadrenalism. Systemically administered corticosteroids appear in human milk and could suppress growth, interfere with endogenous corticosteroid production, or cause other adverse effects. Due to the possibility for serious adverse reactions in nursing infants from corticosteroids, a decision should be made whether to discontinue nursing or to discontinue the medicine, taking into account the importance of the medication to the mother. You can buy Dexamethasone Oral tablets online from Clear Sky Pharmacy at a cheap price. Dexona(Dexamethasone Sodium Phosphate tablets) 0.5 mg pills, manufactured by Zydus Cadila Healthcare Ltd., India are supplied in a blister strip of 20 tablets. The 0.5 mg tablets cost only $0.10 per unit when you place an order for 600 tablets.